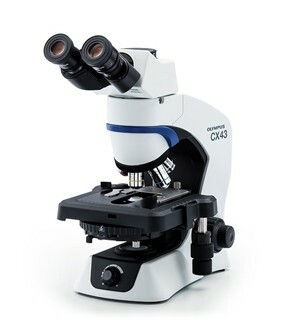 Introducing the new Olympus CX43 Phase Contrast Microscope LED. Olympus America's Scientific Equipment Products Group warrants that your Olympus® microscope(s) and related Olympus® accessories will be free from defects in materials and workmanship under normal use and service for a period, beginning from the date of purchase, of five (5) years for mechanical or optical defects and one (1) year for electrical, electronic, or wear-related components. Olympus, at its sole discretion, will repair, replace, or adjust the defective Product, provided that Olympus investigation and factory inspection disclose that such defect developed under normal and proper use and that the Product is covered under this limited warranty.